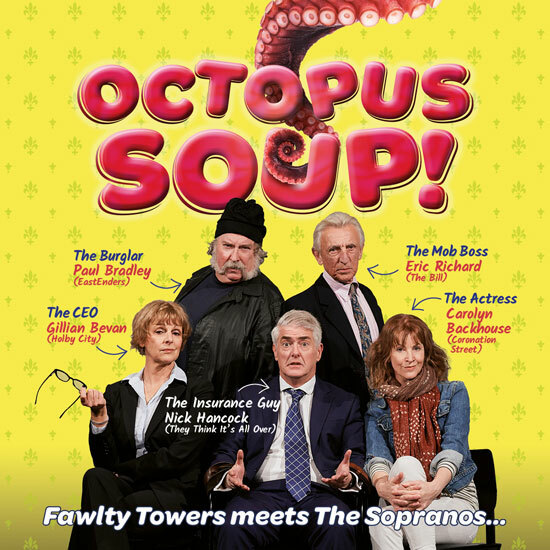 2019 has begun with several sightings of octopuses…a fellow reportedly swerving to avoid one on a Devon road, climbing out of the sea on Swansea’s beaches and at theatres all over the country in our new hit comedy Octopus Soup!, which we are co-producing with The Belgrade Theatre Coventry. Check out reviews, pictures and the new trailer here! 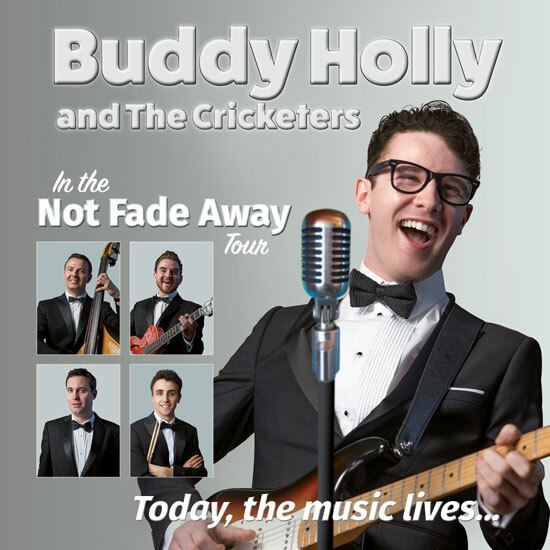 At the beginning of the month, Buddy Holly and The Cricketers complete a hugely successful 24 date Not Fade Away tour to commemorate Buddy’s 60th anniversary. The final night at Windsor Theatre Royal was a riot! The boys are back on the road in September and ticket details can be found here. Many venues on this run were sold out and so early booking is advised to avoid disappointment. 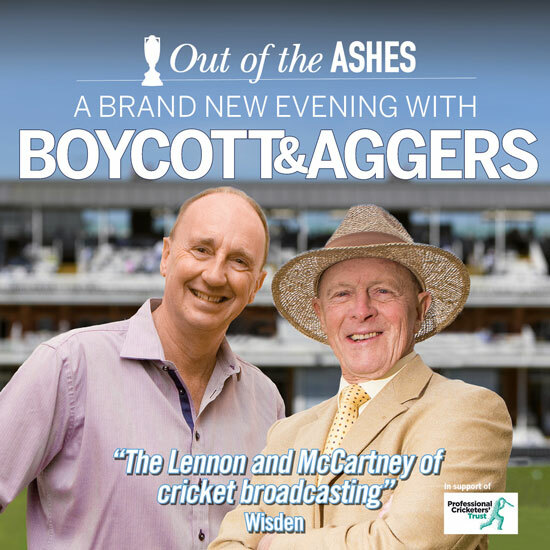 Jonathan Agnew’s has begun his series of shows, both solo and with Tuffers. In this very special year for cricket, when we host both The Ashes and the ICC Cricket World Cup, the boys will have plenty to talk about and to look forward to. Will England end up on top of the world or are we destined to return to our traditional default status as plucky, unlucky losers? After it’s all over, Aggers will be back on stage to pick over the bones with you know who! Again, several shows are already sell-outs and so early booking is recommended. 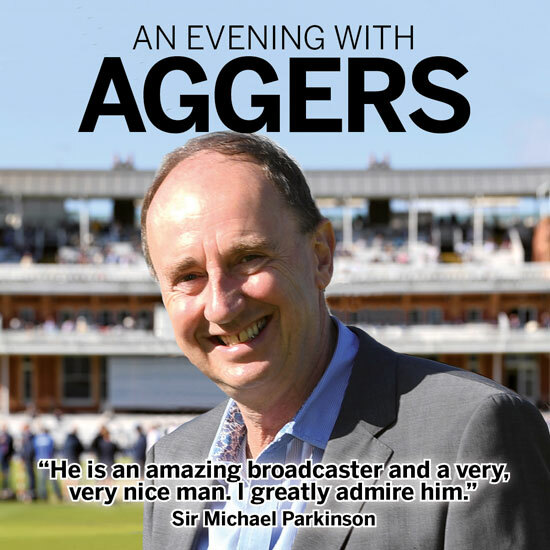 For all details, see our Evenings With Aggers pages. I am very grateful to all of you who come along to our shows. We are so glad that you enjoy what we do and for your continued support. An opportunity to invest in Octopus Soup! "For twenty-six years I have produced shows all over the world. I have always worked to make theatre accessible to people who might not otherwise attend, supporting new writing and introducing new audiences. We know that theatre is not just for the clever, the well-educated, and the well off. But I believe that many people worry that it is not for them and that they will feel uncomfortable, unwelcome, out of place and probably won’t enjoy what’s on anyway. By supporting new writing and working to attract new audiences, we will hopefully keep our theatre thriving long into the future. If you would like to help support our work by investing in the forthcoming production, we have an investment pack available. 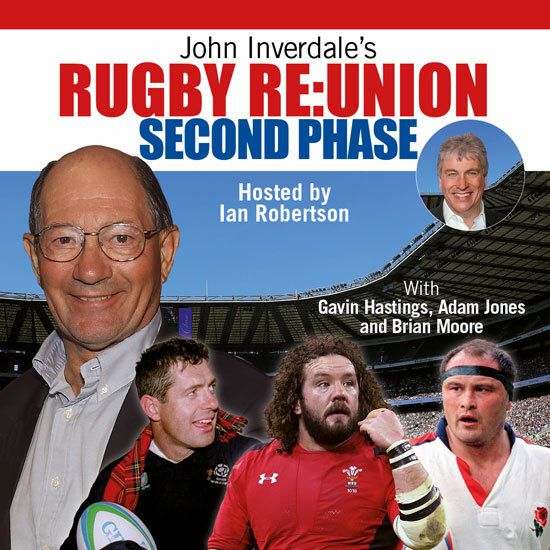 Please send me an email to simon@simonfielder.com and I would be delighted to send it to you. Octopus Soup! is a really funny new comedy fronted by Nick Hancock. 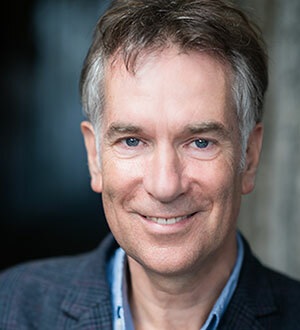 We are delighted to announce that he is joined in the cast by Eric Richard, who played Desk Sergeant Bob Cryer in The Bill for 17 years and Paul Bradley who, for 6 years, was Nigel Bates in EastEnders. Other star casting to follow.